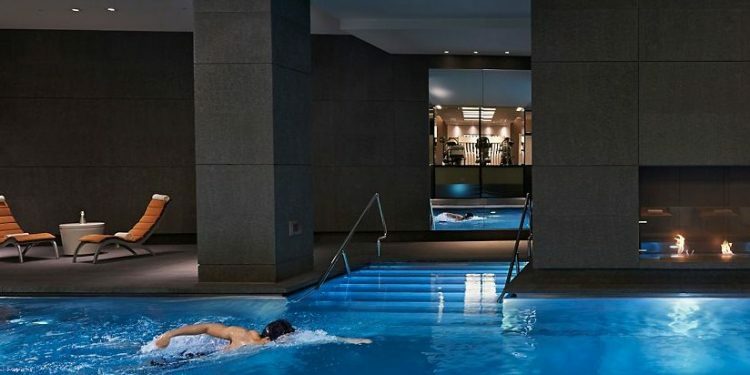 Whether it’s a pillow menu, a private butler or a client service agent that speaks fluent Chinese- there’s nothing you can’t have in the top 3 most luxurious hotels in England! However, there’s a cost for lavish accommodation and the price you have to pay so that you can spend at least a night in these amazing hotels will make you cringe. The third priciest hotel in the UK is placed in London, just like the other two on this list. The Langham Hotel’s Infinity Suite can be your home away from home for the cost of 14.000£ per night! For this 5 digit price, residents will be regaled with two bedrooms, one of them sporting a four-poster bed and an infinity tub in the bathroom that uses light therapy to relax its residents. Though, we might be so bold to say, if you can casually afford such a suite, what kind of problems can you even have?! The suite also has two separate dressing rooms for couples, ensuring the privacy and personal space everyone needs! To the list we add free Champagne and evening drinks on the house, two things that make anyone’s stay far more enjoyable! When it comes to the most expensive hotels in the UK, London quite obviously has to offer them all! With 14000£ you can spend a night in the second most expensive hotel suite in London. What you get for this price is a 180 degree view of London from its highest building. The view includes the London Eye, the Houses of Parliament, the Globe Theatre at St. Paul’s Cathedral and binoculars so that you can see the sights up close. If this is not enough for you, the Shangri-La suite awaits you in plush suites with a Bose sound system, the classic marble bathroom with a choice of toiletries varying from Jo Malone to Gilchrist & Soames or from Aesop to Acqua di Pharma and Jo Malone! Giving out a clue on the kind of residents they expect at the Shangri La, there’s a guest services agent on call who speaks fluent and flawless Chinese! 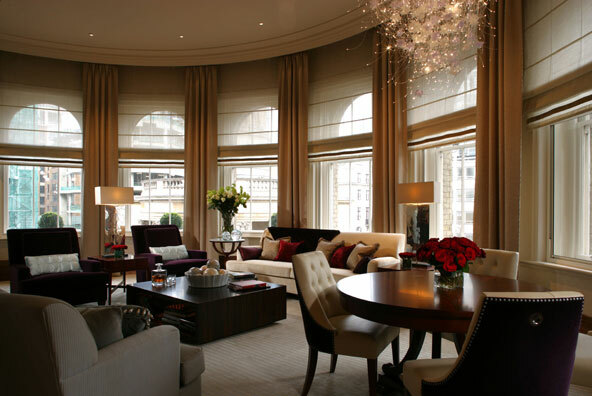 With 18.000£ per night, you’ll get to spend a night in Mandarin Oriental’s Royal Suite, with a view of Hyde Park. If that’s not enough for you, their grandiose bathroom is made entirely out of marble and it sports a crystal chandelier. We guarantee you never took a more lavish bath! But there’s more: a butler of your own, so no mortal will bother you and a pillow menu so you can choose exactly on what kind of fluff you want to rest your pretentious little head. But for 18.000£/ night, they offer more than this! You get artwork of your own choice, brought in from a gallery nearby and a walk-in wardrobe for the master bedroom that makes most of us feel as if our homes are puny. As for the place where the magic happens, the master bedroom is decorated with 18th century Chinese paintings and a vanity area adorned with Lalique crystal lights!